The green anole lizard (Anolis carolinensis), native to the southeastern part of the United States, is also known as the American chameleon because of its ability to change color. As they are active, interesting animals that consume pests such as cockroaches, gardeners may wish to attract more of these little lizards to their gardens. Creating a lizard-friendly garden is also worth doing for conservation purposes. 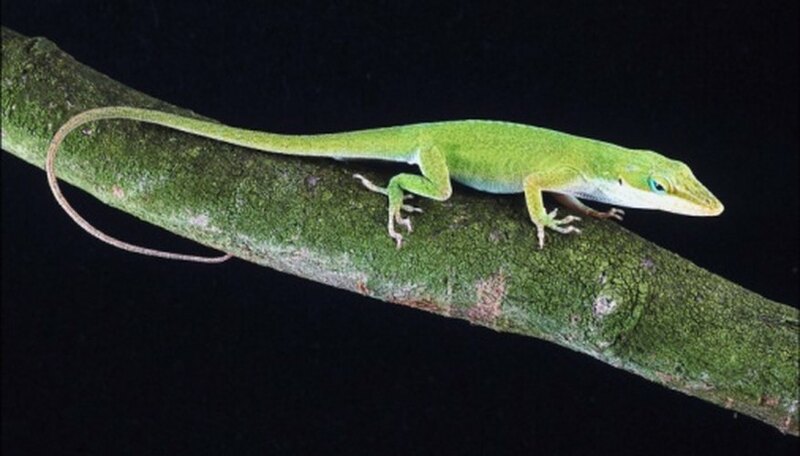 Although green anoles are in no imminent danger of extinction, they are under threat from habitat destruction and competition with other species of lizard, notably in Florida. Garden organically. Green anoles need a plentiful supply of food, which pesticides kill off. It is also possible for a lizard to swallow a poisoned insect, which could be fatal. Clever organic gardening establishes a natural balance in your garden, whereby natural predators, including green anoles, keep pests under control. Plant dense vegetation, including trees, shrubs, climbing plants such as vines, ferns and bromeliads. 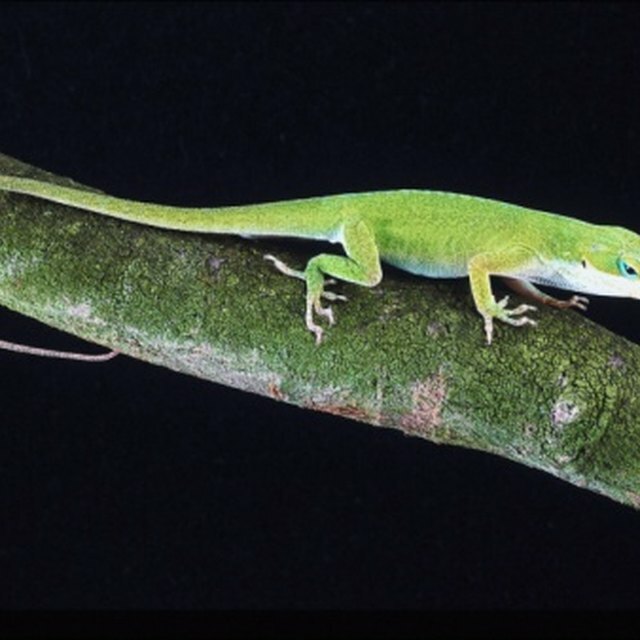 Green anoles are arboreal lizards that favor a jungle-like habitat. They also need the opportunity to cool off in the shade that thick vegetation provides. Choose native plants wherever possible to provide the most natural environment best suited to native wildlife. Provide shallow pools underneath the tree and shrub canopy. Sink shallow ceramic dishes or plastic tubs or trays into the ground and fill with water. In hot, dry weather, green anoles need to drink. Alternatively, install a birdbath close enough to the vegetation that anoles can crawl over. Position a few short logs in a sheltered location. As the logs rot, they provide a place for anoles to lay their eggs. Also, let fallen leaves remain under the canopy when they fall. Willson, Judith. "How to Attract Green Anole Lizards." Sciencing, https://sciencing.com/attract-green-anole-lizards-8111020.html. 24 April 2017.